This was such a quick and easy craft. 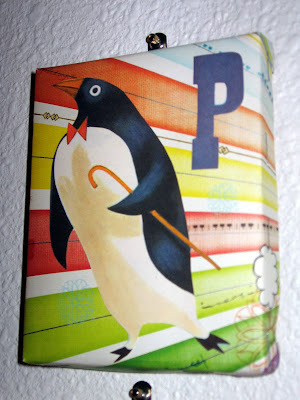 I used a small canvas + scrap scrapbook paper + an old children's book. I stapled the colorful paper to the back of the canvas, then cut out and glued a small picture from an old circus book on to it. 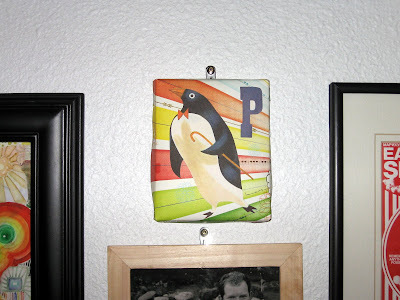 To finish it off and add dimension, I cut out the P and set it using foam tape It fits quiet well into my wall collage! Knock knock! Trick or Treat?